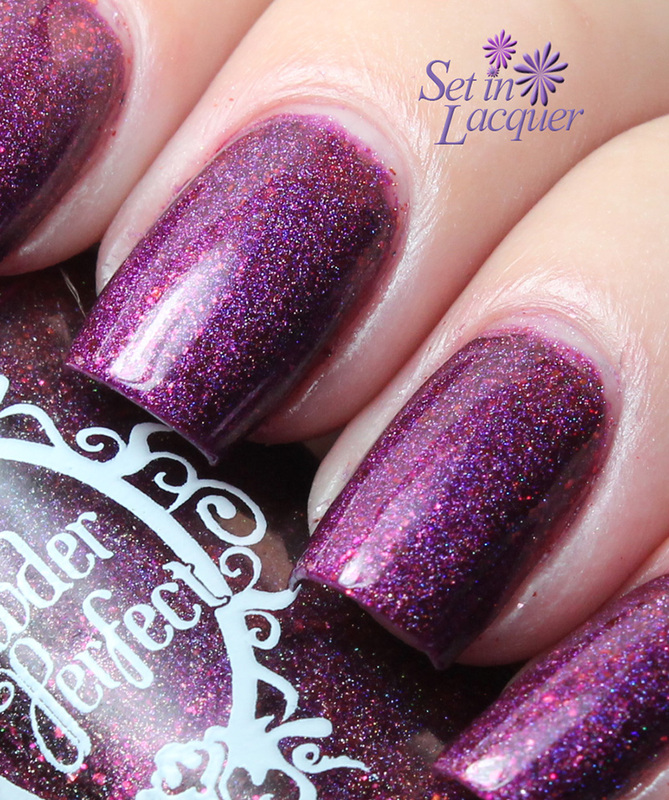 Powder Perfect has some gorgeous shades of nail polish. I have had the opportunity to try a few of these and they are gorgeous. I shared a couple of other shades the other day. You can see those here. These polishes are unique and stunning. 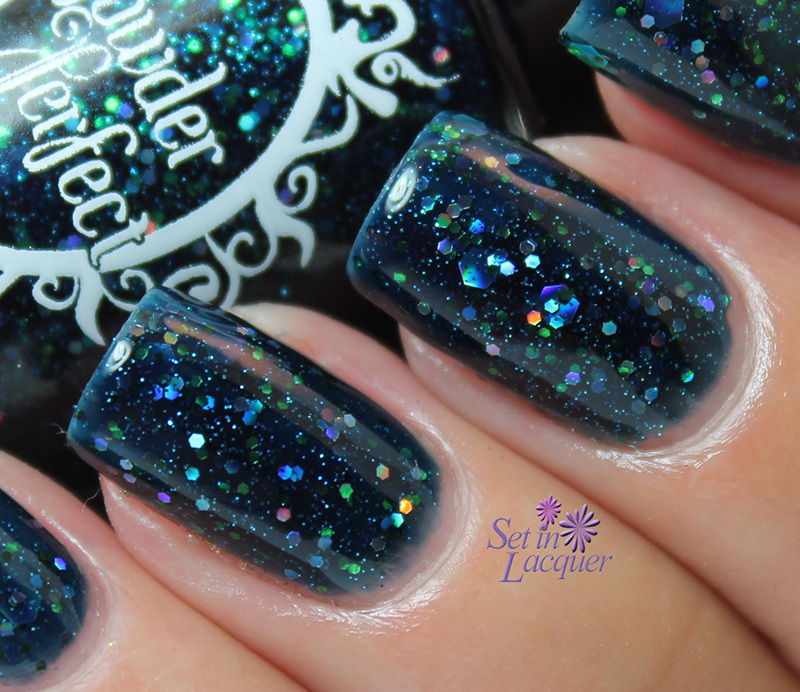 Downworlder is a deep blue jelly polish that is swimming with multi-shape and size holographic glitter. The glitter appears to be magically suspended in the depths of the polish. This polish applied wonderfully. This is three coats with a top coat of HK Girl. Secret Passageway is a gray creme with shimmery micro-glitters in bronze, gold and red. The tiny glitters make it almost appear as a gray granite surface. Without a top coat it has a slight textured finish. This is two coats with a top coat of HK Girl. These polishes are available at Color4Nails for $10 to $11. Internationals stockists are listed here. Powder Perfect is Australian owned and made and they create 5 Free unique handmade nail polish. Follow Color4Nails on Facebook and Powder Perfect on Facebook to keep up with new releases and more. These polishes were sent to me for an honest review. All opinions are my own. Please note that computer monitors may display colors differently. 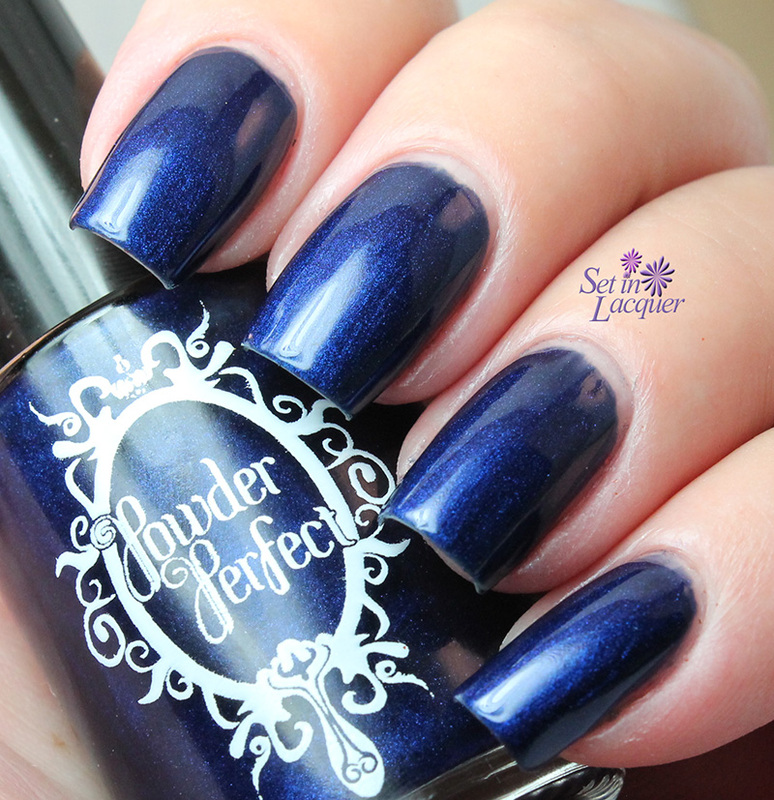 I have a new-to-me polish on the blog tonight - Powder Perfect. Powder Perfect is a five-free polish and I must say the colors are amazing. I am going to share two of them with you today. 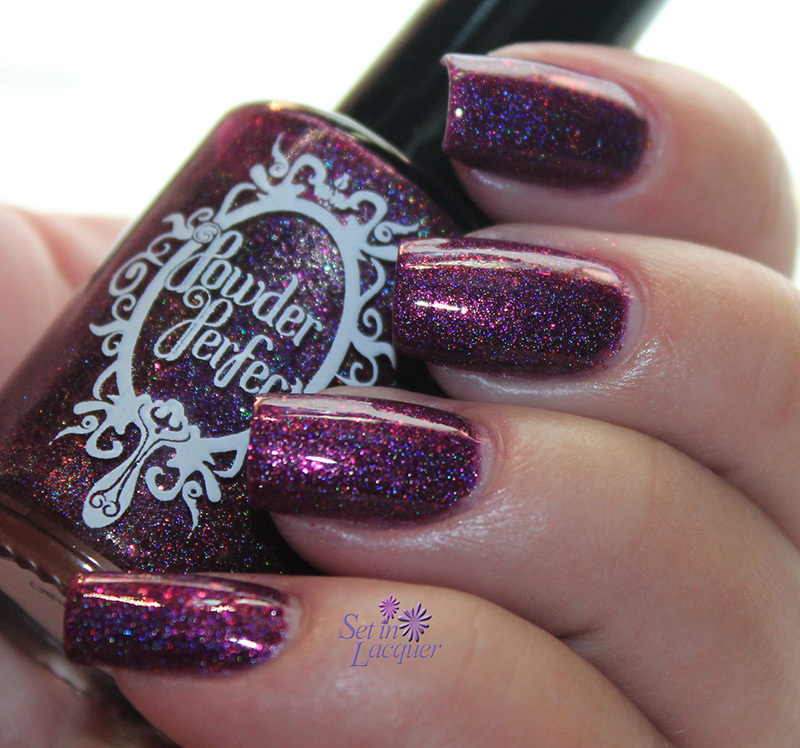 Otherworld is exclusive to Color4Nails. 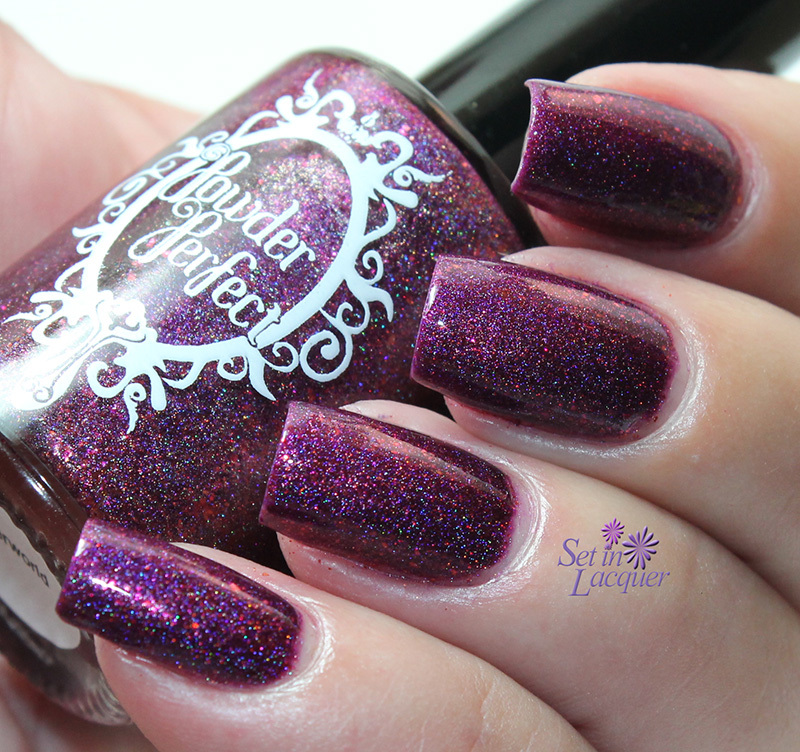 This deep berry shade has a serious holographic sheen and shimmer. 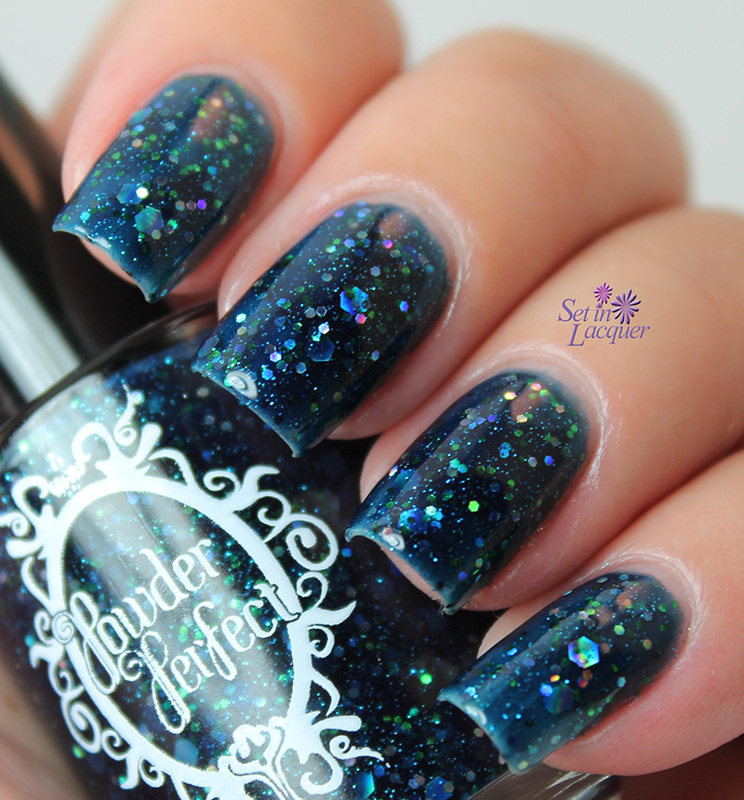 If you like holo polishes, this is definitely a polish for you. The formula is wonderful. It applies silky and smooth. This is two coats with a top coat. 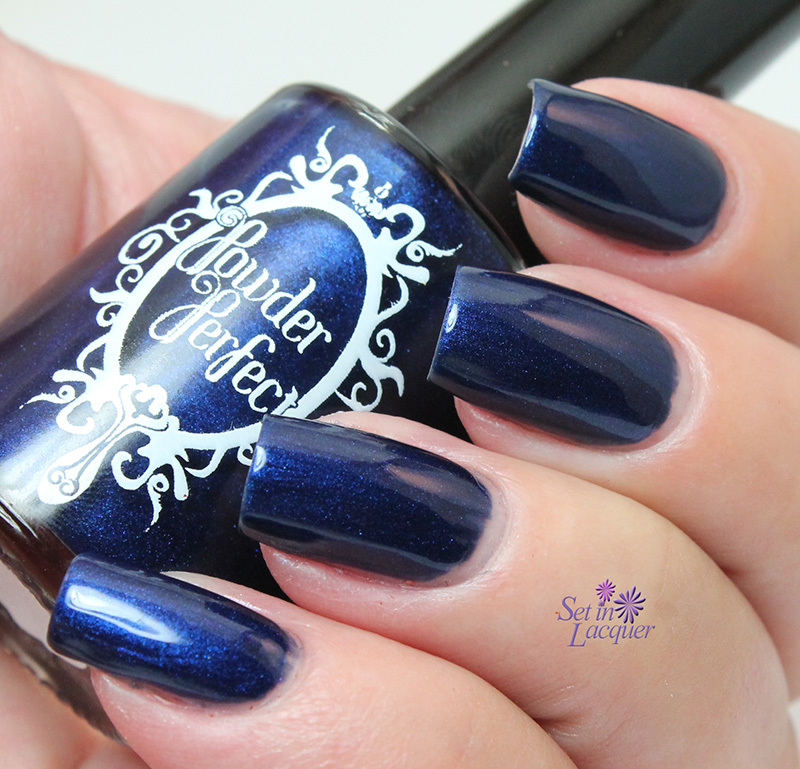 Shadowhunter is a deep cobalt blue polish that is jampacked with soft shimmer. If you know anything about me; you know that I am extremely partial to blue polishes. This one fits the bill. 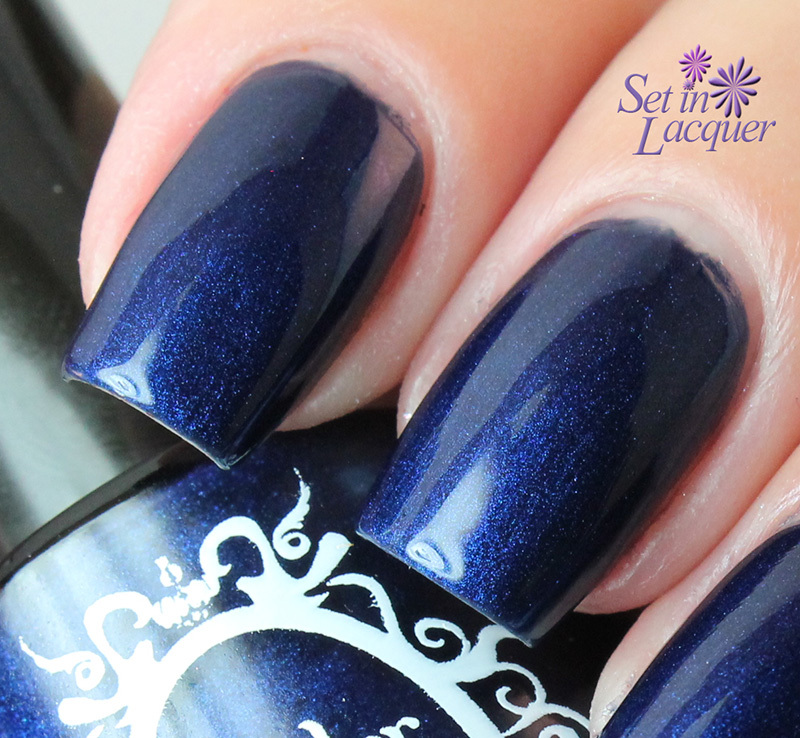 This deep dark blue is sure to please. This is two coats with a top coat. These polishes are available at Color4Nails for $10 to $11. 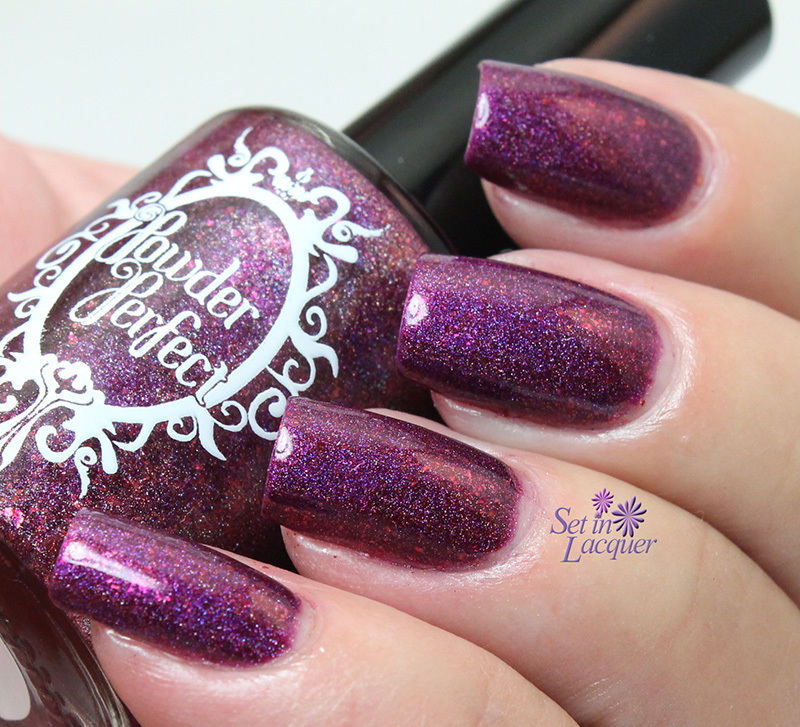 Otherworld is exclusive to Color4Nails. Powder Perfect is Australian owned and made. They create 5 Free unique handmade nail polish.